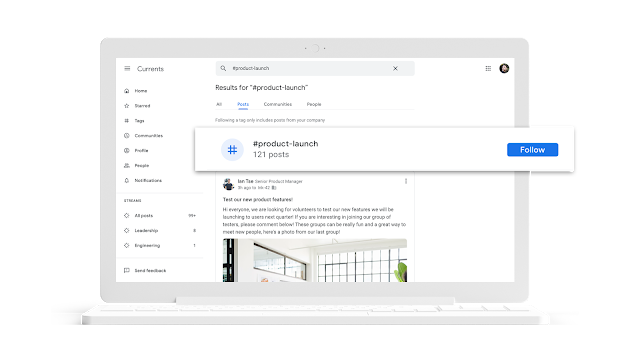 You probably thought that you'd heard the last of Google+ when the consumer version was shut down last week, but Google just announced at its Cloud Next event that the enterprise offering is being renamed "Google Currents." 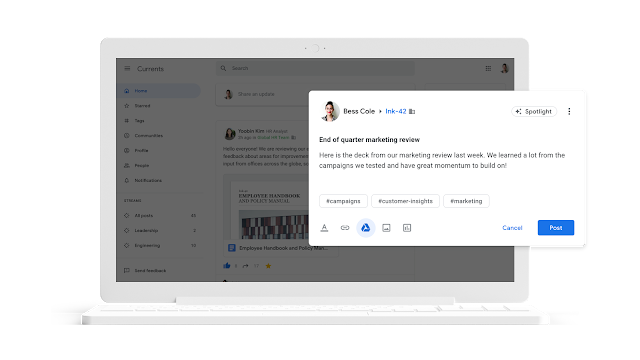 It's positioned as a new product, but we all know that it's just G+ with some minor changes. Google previously used the brand "Currents" for what is now the Google News app, but the two products are otherwise unrelated. The new Currents is largely the same as Google+, with the same UI and basic features. 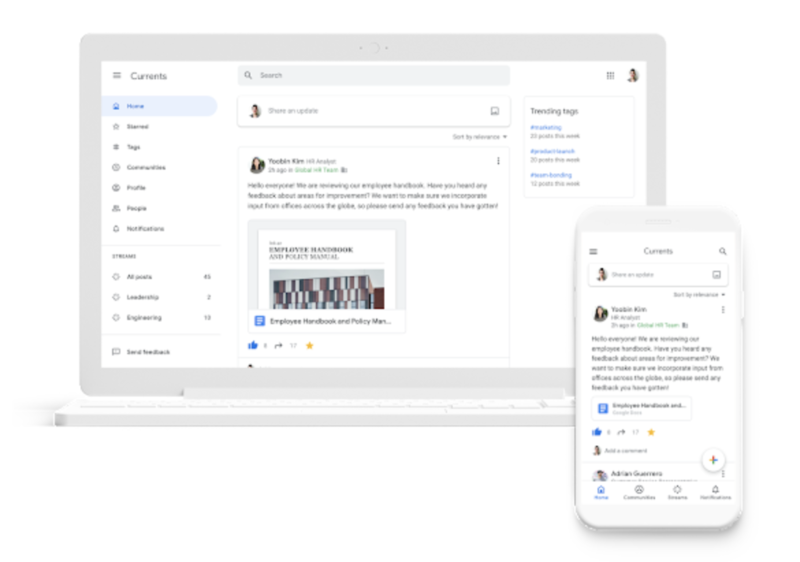 Posts can be sorted by relevance or reverse chronological order, and those from leaders can be prioritized in the feed. 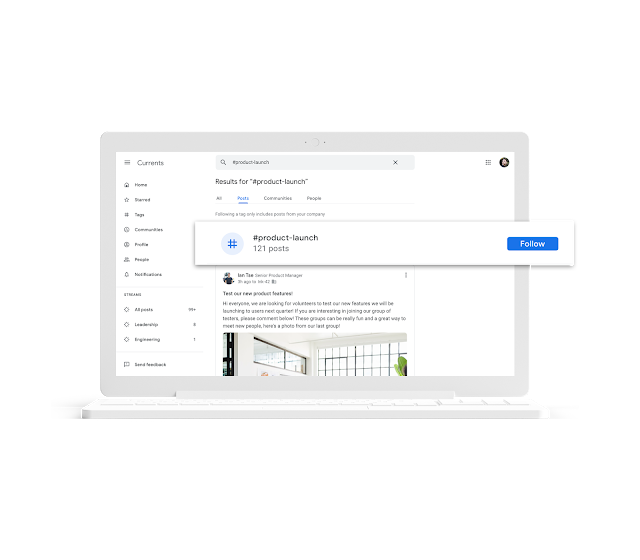 Hashtags and files can be attached to the post, and individuals can track their posts' analytics. 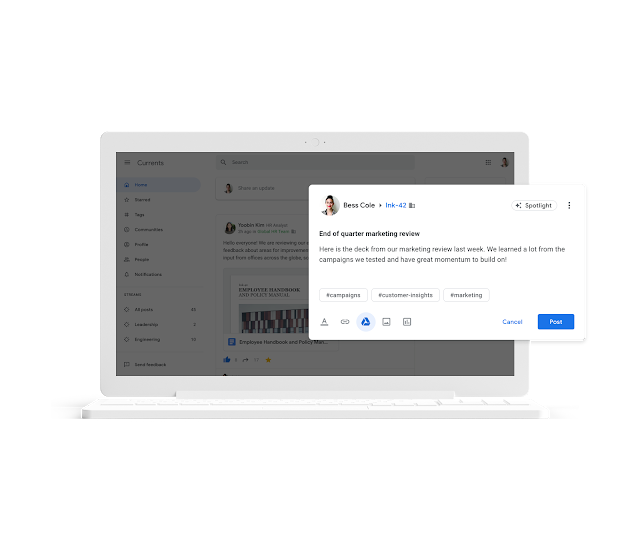 Currents is in beta right now, and administrators can request access to it by emailing [email protected] All of the existing data on Google+ will automatically transfer over once you're enrolled in the beta.